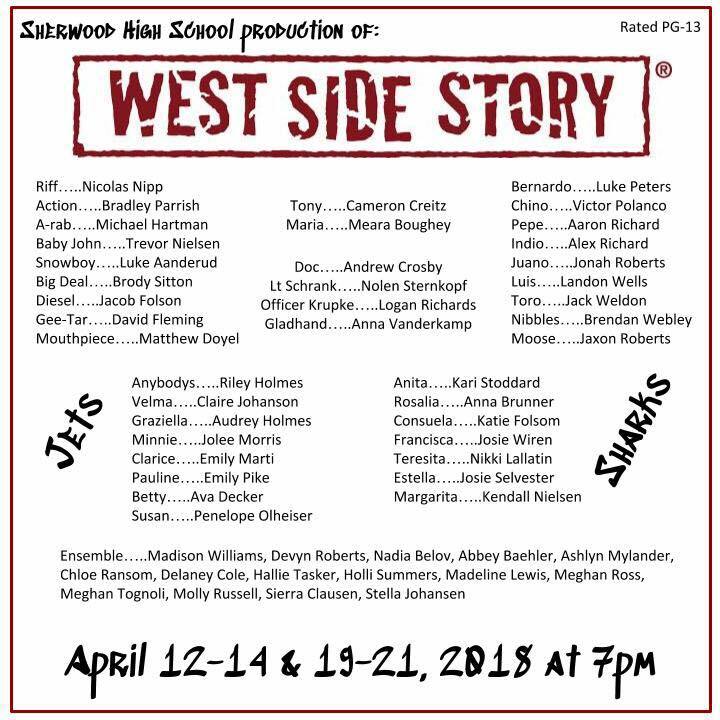 Introducing the West Side Story cast list! The show is getting closer and we couldn’t be more excited! Performances are April 12-14 and 19-21, 2018 in the Sherwood High School Performing Arts Center.